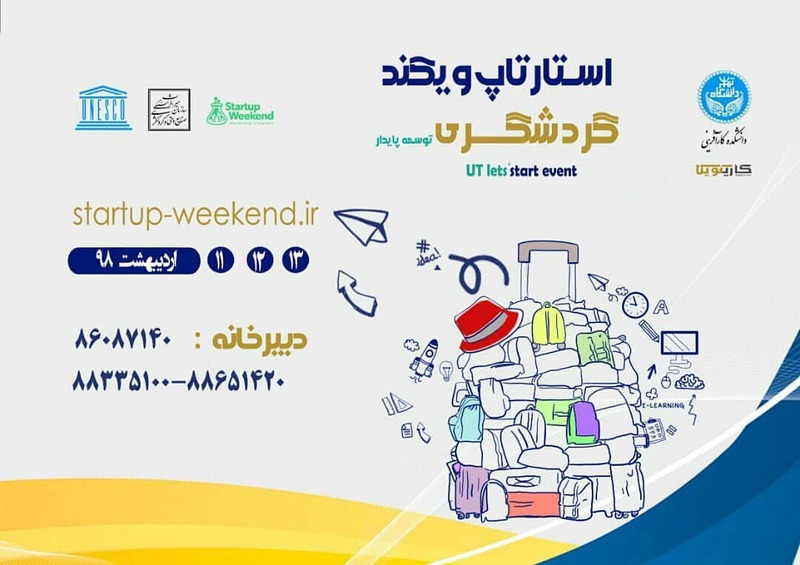 TEHRAN - The 6th Startup Weekend, which has adopted "Sustainable Tourism" as its focal theme, is to be hosted by the Faculty of Entrepreneurship of the University of Tehran. Organizers of the event aim to put into practice and develop ideas evolved by participants while [they are set to] teach basic concepts of entrepreneurship together with running practical workshops and promoting the spirit of team working, IRNA reported. Running from May 1 to 3, the event will be held in collaboration with the Iranian National Commission for UNESCO and the Cultural Heritage, Handicrafts and Tourism Organization. Based on CHHTO statistics, the Islamic Republic hosted over seven million foreign nationals during the first eleven months of the past Iranian calendar year (started March 21, 2018), which is seen as a remarkable rise from the same period last year.